CMA is one of the 5 artistic arenas of London Notting Hill Carnival Ltd (LNHCL). CMA is the official body for playing mobile music on the road at London Notting Hill Carnival. It covers all categories of playing music on the road including Live Bands and pre recorded music. Caribbean Music Association is an organisation promoting Caribbean music in all its art form. CMA can also offer expertise, knowledge and experience in other carnival events where music is required on carnival floats utilising their experience, knowledge and on their on the road code of practice. CMA has over 70 DJ's, Mobile Sound Systems and Bands playing on the road at London Notting Hill Carnival catering for the needs of the multicultural attendance and participants. 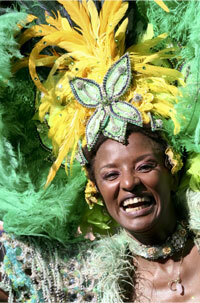 Members of CMA also participate in various other Carnivals and music events within the UK. Under Members you will find our Directory of DJ's from all over the UK with a unique search facility that will show you up to 10 DJ's nearest the postcode you enter. When we have a broader spread across the UK, this will come into it's own. Or you could make your choice by browsing the complete directory.There is advice on booking a DJ so that you get the best you possibly can for your special event. For further information or if you need a DJ, Sound System or Band for an indoor or outdoor event contact CMA: info@caribbeanmusicassociation.co.uk or see our members profile screen.